Situated in Yomitan, this apartment building is 1 mi (1.5 km) from Yomitan Museum of History and Folklore and within 3 mi (5 km) of Cape Zanpa and Cape Maeda. Zakimi Castle and Yokuda Beach are also within 1 mi (2 km). Along with a spa tub, this apartment building has a rooftop terrace and free self parking. WiFi in public areas is free. Each apartment boasts a jetted tub and offers free WiFi and a kitchenette. Guests can appreciate conveniences like a sofa bed and a refrigerator, and other amenities include a microwave and a flat-screen TV. Housekeeping is available once per stay. 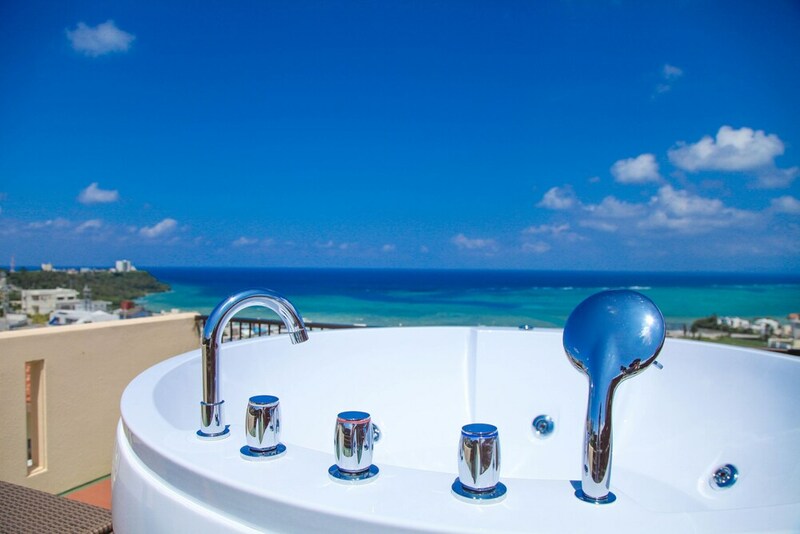 First Street Okinawa Yomitan-son Oceans features a spa tub and a rooftop terrace. Public areas are equipped with complimentary wireless Internet access. Complimentary self parking is available on site. Up to 2 children 6 years old and younger stay free when occupying the parent or guardian's room, using existing bedding. The Japanese Ministry of Health, Labour, and Welfare requires all international visitors to submit their passport number and nationality when registering at any lodging facility (inns, hotels, motels, etc. ). Additionally, lodging proprietors are required to photocopy passports for all registering guests and keep the photocopy on file.